Make no mistake, a Kilimanjaro climbing is a demanding trek and in order to give yourself the best chance of reaching the summit, while also enjoying the hike, it helps to be in good physical condition. If you’re not already in tip-top shape, we have some climbing Kilimanjaro preparation and suggestions on how you can prepare for your adventure. 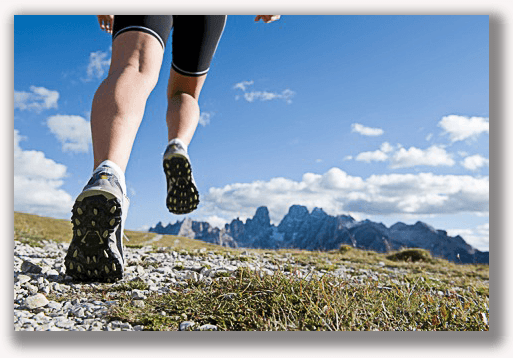 First, you’ll gain the most benefit by increasing your aerobic efficiency, which can be improved by walking at a fast pace, running, swimming, and cycling. Any one of those activities will help get you more prepared for the challenges you’ll encounter on the trail, which can include hiking up and down steep slopes at high altitude. Brisk exercise will not only increase your lung capacity but it will tone the muscles in your legs too, both of which will come in handy on the mountain. In addition to improving your cardio fitness, strength training can be a benefit to Kili climbers too. Add push-ups, sit-ups, lunges, and light weightlifting to your fitness routine to improve your core strength, which will aid in recovery and make ascending and descending while wearing a pack easier. To further prepare for the long days on the trail it is advised that trekkers also go on a few extended hikes in the days and weeks leading up to their departure. While on Kilimanjaro you may be trekking as much as 8 or 10 hours per day depending on the route you choose and the pace you set. And while the porters will carry the bulk of your gear, you will be wearing a daypack filled with the items you’ll need for each day, including food, water, and extra layers of clothing. To prepare for this extra weight, be sure to wear the same backpack you’ll use on Kili during your practice hikes too. This will help get you accustomed to the weight prior to you even leaving for Tanzania. If possible, it is always a good idea to train at altitude before attempting to climb Kilimanjaro. Everyone reacts a little differently to the thinner air and it is a good idea to test yourself in that environment before you go. This not only helps to avoid any surprises that could potentially result in altitude sickness, it allows you to be better prepared for the challenges you’ll face as the trek moves higher up the mountain. At higher altitude it can be difficult to catch your breath and many trekkers feel lightheaded, nauseas, or sluggish. Knowing how your body responds to these challenges will be enormously helpful when it comes time for summit day. 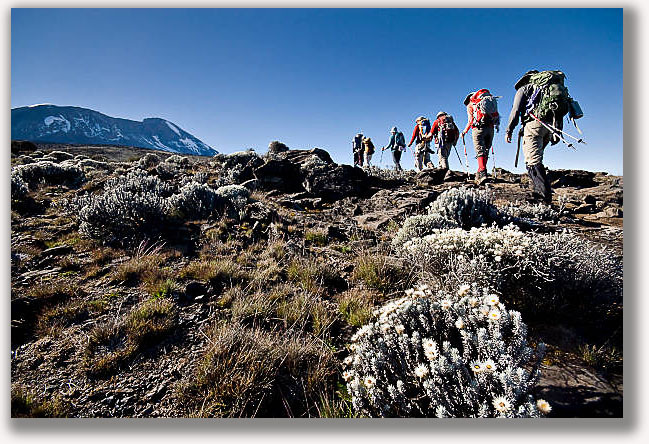 Many travelers who come to climb Kilimanjaro bring brand new gear with them for use during the trek. Having the proper Kilimanjaro climbing gear is an important part of staying comfortable on the trail but it is important to make sure that all of that gear functions properly prior to starting the climb. Test any new products before you leave home to ensure they perform up to your expectations, particularly rain gear, your backpack, sleeping bag, and boots. It is especially important that your boots be adequately broken in prior to the start of the trek too. This will help to avoid creating blister and hotspots, which can be a trekker’s worst nightmare. The more time you have to prepare for your trek the batter off you’ll be. If you only have a limited amount of time before you leave for Tanzania, try to use that time to prepare as best you can. In the long run, you’ll be glad that you did.